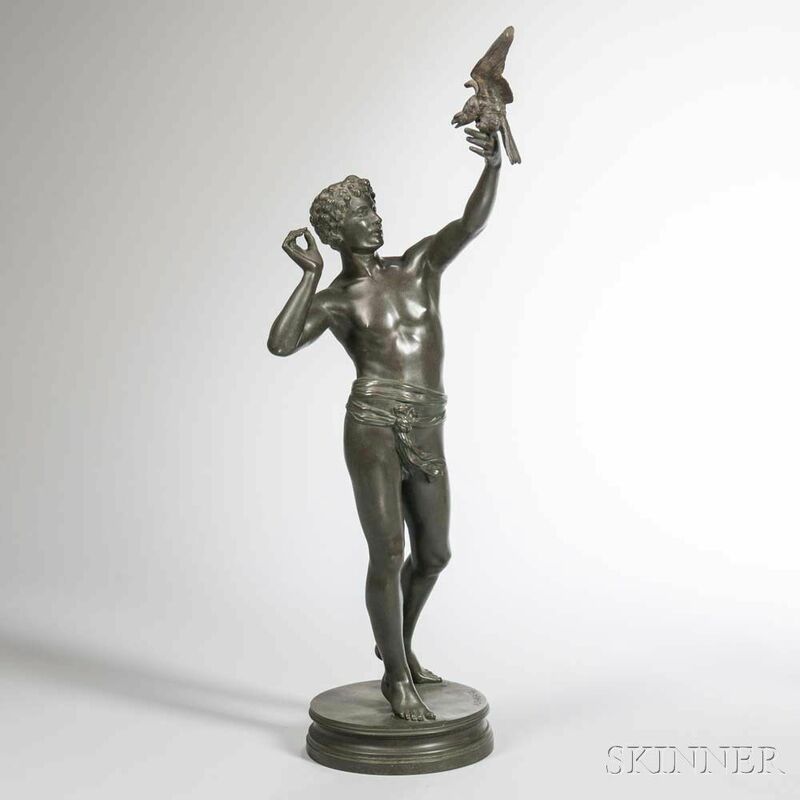 Bronze Figure of a Man with a Falcon, draped figure standing with the bird of prey perched on his hand, set atop a round plinth, signed to base "A. THABARD.," ht. 24 7/8 in.